Shop CJ, a leading home shopping network plans to launch many private labels and premium brands including Steve Madden on its television channel shortly. Once scorned as sleazy and obsolete, home shopping channels in India have started to gain momentum with growing interest from consumers. Internationally, there are many examples where home shopping channels are giving neck to neck competition to other established retailing channels. Carol Brodie,a New York based renowned jewellery designer, when she decided to launch her own line couple years back, she didn't head to Rodeo Drive or Fifth Avenue, she went straight to HSN, a 24-hour home shopping network. Likewise, South Korean automobiles will be retailed via TV home shopping networks starting in 2018 under a revised regulation. That is the power of the television channel! 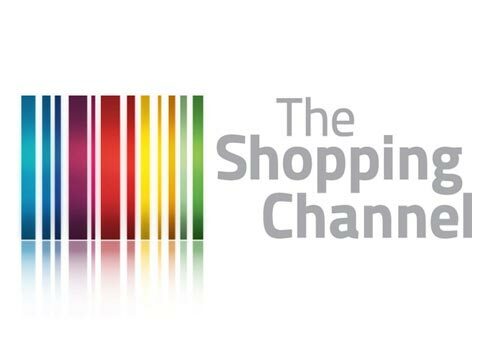 In India, the home shopping channel is still a relatively new, but is well-received by consumers. In fact, this space in India has also started witnessing the in-flux of designer labels. Shop CJ has three shopping channels which are aired in Hindi, Tamil and Telugu respectively. With three channels the company is reaching to 90 million (almost 10 cr) homes in India. The company serves to around 15000 pin-codes including metros, tier 1 and small towns also. The company is also retailing via its e-commerce and m-commerce arms. “TV contributes 80% business in terms of total revenue share,” said Chandrie. He also informed that company is in advanced lavel of talks to launch premium foot-wear brand Steve Madden on its TV shopping channel. “We are in talks with Steve Madden and hoping the brand will be available on our channel by March this year. We are also in touch with various brands in ethnic wear category, so we should have few more brands added to our portfolio by March this year,” he said. The company is also collaborated with Shilpa Singh, who was runner-up at ‘I AM She – Miss Universe India 2012’ to launch her own line of sarees. The company is also tying up with celebrated make-up artist to launch her range of cosmetics on Shop CJ TV. The company is in talks with many real estate players to launch property on its TV channel. The company also aims explore automobile sector on its home shopping channel. In India TV is still an evolving stage with several hiccups. TV is all about impulse buying where customer gets less time for decision process before making the purchase. “Return rates are not that much higher as compared to rest of the world. I have 55% repeat customers, so they know their size,” said Chandrie. He also informed that its TV shopping channel is largely dominated by the fast fashion category where returns are obivious. Typically, the channel allot about half an hour for the particular product display on TV. “Approximately, 3% return is higher in TV channel as compared to our e-commerce,” he said. No doubt, the reach of TV is higher but managing the supply chain of hinterlands is not an easy task. Speaking on supply chain constraint Chandrie, said, “We have divided the pin codes into two parts, logistics of top pin codes is directly controlled by us, where we know exactly which vehicle is out for delivering and to which consumer. So, 50% to 60% sale is controlled by us directly.” The balance is managed by common courier services like Bluedart, Aramax etc. Clearly, TV has the advantage over brick and mortar store in term of reach and viewership. E-commerce is growing exponentially but becoming highly competitive with each passing day. TV certainly offers an opportunity; all it is requires a strategic planning to recreate the success story of international counterparts.